Feeling templed out in Cambodia? We would be very happy to welcome you at our Siem Reap Campus to show you the impact of our program. You will meet our wonderful students and see our facility at just a 10-minute walk from the city center. We also offer supervised trips to our primary schools in the rural Phnom Kulen region, located one hour north of Siem Reap & Angkor Wat. You will get to enjoy the scenic beauty of this Cambodian national park, spend time with our students and learn about the local history and lifestyle. The temples, markets and tuk-tuks are only half of Cambodia’s story. The rural countryside around Siem Reap reveals much more: green rice paddies dotted palm trees, jungle covered hilltops and quaint villages. This is a side of Cambodia most tourists in Siem Reap don’t experience. Our program's day trip to our schools at Phnom Kulen provides a glimpse into this fascinating side of Cambodia. Visitors will be able to spend time with the students during their recess. Learn how Cambodian children jump rope, help the students practice their conversational English skills or roll up your sleeves and join in a game of volleyball. Our schools are located within a large national park where you’ll find enormous canopied trees, exotic wild fruits, colorful butterflies and unforgettable waterfalls. Please bring your swimming suit if you intend to cool off in the water. 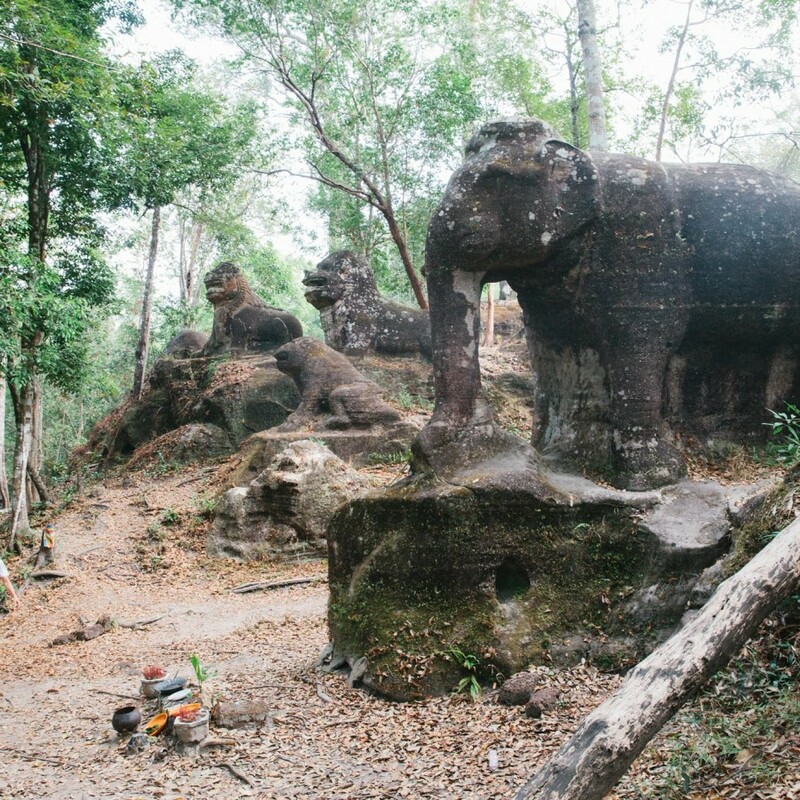 Phnom Kulen is also home to temples with overgrown jungle vegetation and numerous stone carvings can be found throughout the hill commemorating the birth and rise of the Angkor civilization. The mountain is also home to a towering Buddha temple with views high above the canopy. Whether you're nearby or still planning your trip, schedule a visit today.